Whether you're a growing family or you're buying a home and you are ready to enjoy a low-maintenance residence, Rose Creek provides a residential community like no other in Oklahoma. This Rose Creek Edmond luxury home community has so much to offer for professionals and families who desire to live in a gated golf course neighborhood with exclusive, upscale features and amenities. This is truly one of the most coveted communities in the Edmond and Oklahoma City area in which to buy a quality upscale home. Discerning home buyers who desire luxury, a superb golf course and clubhouse, and exclusive pool and recreation will find this gated community a choice place to buy a home! 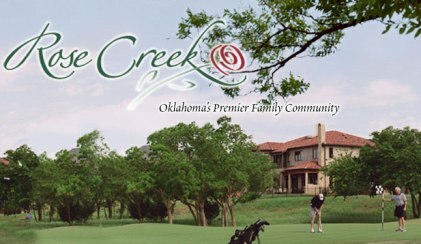 Located in one of the fastest-growing corridors of Oklahoma City, and in the Deer Creek and Edmond school districts, Rose Creek is a gated community in Edmond, Oklahoma with one of the most elite golf courses in Oklahoma. It is designed around recreation, a beautiful environment, and a thoughtfully planned community, offering you the distinct satisfaction of knowing you've discovered something truly unique in creating both an upscale lifestyle and a new home. Why will you love living in Rose Creek? Rose Creek Clubhouse: A beautiful 14,600 square foot Rose Creek clubhouse is built to be overlooking the exquisite Rose Creek Golf Course. If you desire an elegant, full service restaurant and bar, a top shelf ballroom for fundraisers and events, private men's and women's golf club locker rooms, then you will want to explore the amenities of the Rose Creek Clubhouse and Golf Course. Pool and Recreation Center: Residents will enjoy the pool of over 10,000 square feet of water surface area. Two water slides, nicely landscaped, perfect for Summertime entertaining and family fun. The family fun life in is hard to match anywhere! Fitness Center: Skip the crowded public gyms and enjoy private weight training and aerobics. An incredible 4,200 square feet of workout and locker room space. Exclusive always for Rose Creek property owners! 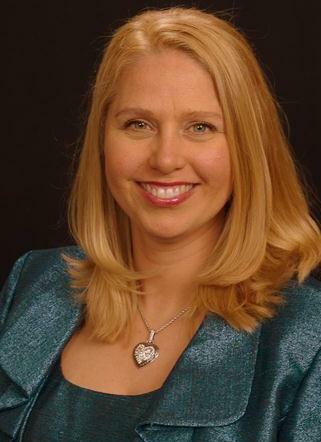 Buying a Luxury Home in Rose Creek? There are numerous other reasons to enjoy buying a new home and living in this exclusive Rose Creek Edmond Oklahoma community. You will find yourself separated from the hustle and bustle of the Metro OKC area, but still close enough to Lake Hefner Parkway and the Kilpatrick Turnpike to be able to access all the new developments happening in the Downtown and Metro OKC area. You will enjoy the college town lifestyle and quaint areas of Edmond Oklahoma. You will definitely appreciate the Deer Creek and Edmond School Systems. Living in this private, gated and upscale Edmond community will make you happy you chose Rose Creek as your new home! Check out the full and updated list below of Rose Creek Golf Course Luxury Homes for Sale and find your exclusive luxury dream home today!